Uncanny Adventures brings together 30 comic creators from around the world to bring you 21 genre-spanning short stories. From cartoonists just getting their start to established artists presenting their latest works, this collection provides something for every taste. From Victorian horror to science fiction, from autobiographical stories to murder mysteries, Uncanny Adventures showcases the breadth of comics by bringing you tales that will make you think, laugh, and shiver.Topping it all off, we’re thrilled beyond belief to let you know that our cover artist is Ethan Nicolle. Ethan, as you should know, draws the amazing comic Axe Cop, which is written by his little brother Malachai and soon to be an animated TV show. 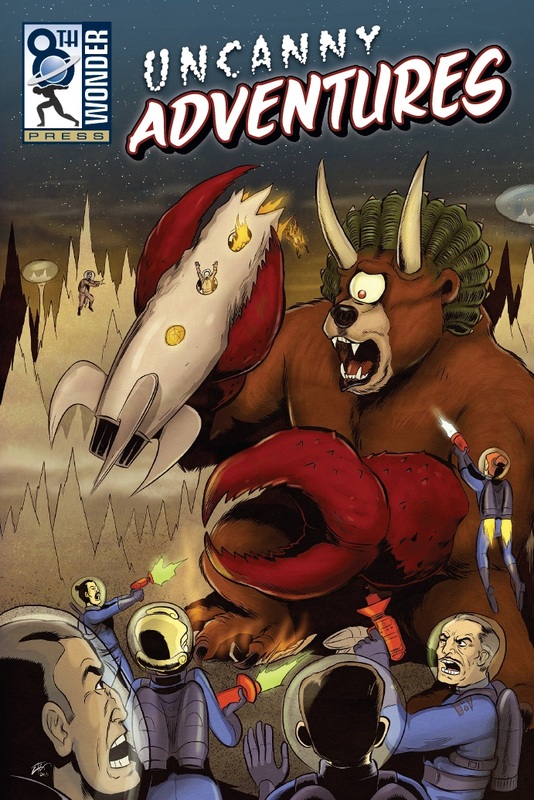 He’s also the creator of Bearmaggedon, which is about bears and is incredible.